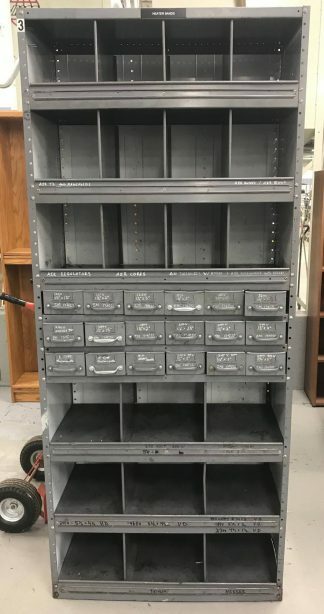 Used heavy-duty Sturdibuilt shelving / pallet rack. This shelving is in good used condition but the beams may have a few stickers on them. 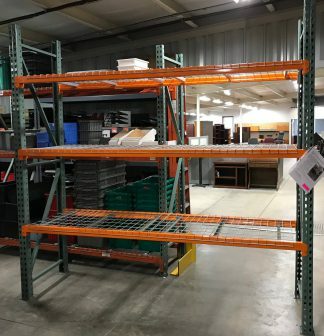 This shelving is rated at 6000# per shelf (evenly distributed load) and comes with either Pallet Supports or Flared Wire Decks. 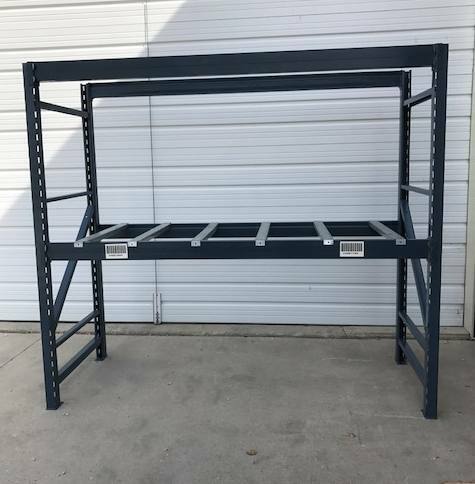 It is 42″ Deep x 102″ wide (please add 3″ for each upright) and it is available in 10′ or 12′ Tall. 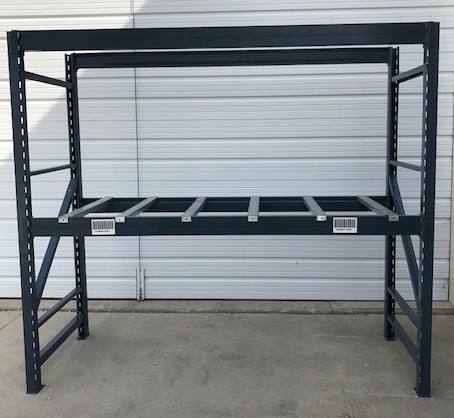 It is blue in color and includes all needed hardware. 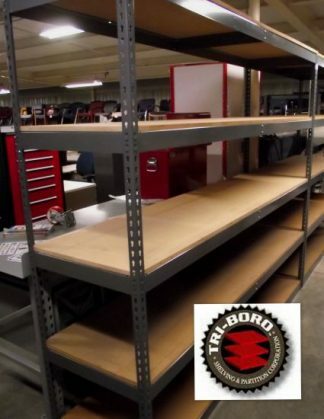 Note – This style shelving “Shares a common upright when adding additional sections to the same run. Discount may be available for Large Quantity. 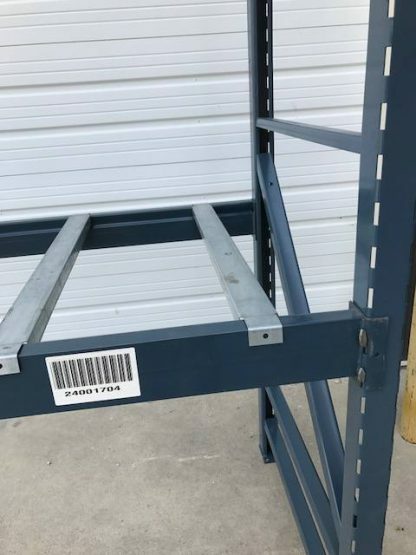 BE SURE TO LET THE SALES ASSOCIATE KNOW WHAT HEIGHT OF UPRIGHT YOU NEED and IF YOU WANT PALLET SUPPORTS OR WIRE DECKING WHEN YOU PLACE THE ORDER!